Click to view this stallion's full profile. specifically, to find out if, and how, breeders used our print magazine. Below is a synopsis of some of the most interesting survey results. 294 people took the survey, of whom 96% were mare owners and 35% own at least one stallion. 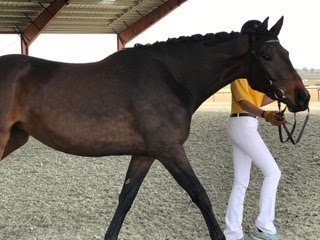 Respondents learned about the survey primarily through an email announcement; Facebook announcement on the WarmbloodStallionsNA page, the Warmblood Breeders Group page, or the USSHBA Group page; or through a forum discussion. All but 6.76% responded that they belonged to at least one registry; 55% belong to multiple registries. 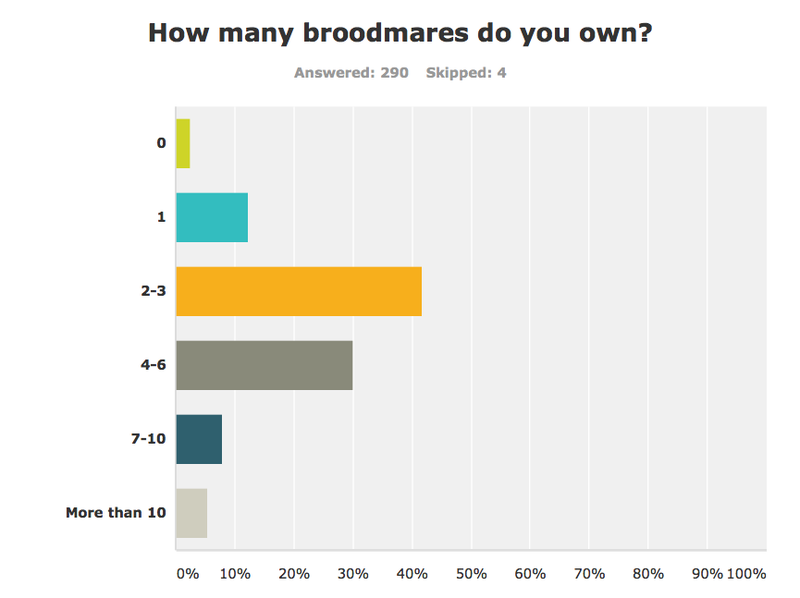 We asked how many of the breeder's own mares they bred in each of the last three years. The percentage of breeders who bred none of their mares was between 28 and 29% each year. The average number of mares bred per breeder in 2012 was 2.18, in 2013 it was 2.25, and in 2014 it was 2.46. When do you start choosing stallions for the next breeding season? How important are the following criteria to you when choosing a stallion? How often have you become interested in a stallion as a result of seeing him in one of the following? A number of the questions were asked to find out what resources breeders used to find stallions. Overall, breeders use a wide variety of resources. Surprisingly to me, the single biggest response (12.96%) said that "Saw the stallion's offspring in person" was "How I usually find stallions." 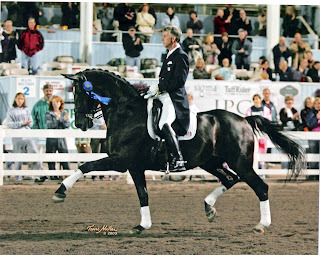 Finding a stallion through the stallion's or farm's own website ranked highest, far higher than Facebook. In 2015, how likely are you to breed to a stallion... ? Below is the full table of responses. Interestingly, breeders are more likely to breed to a proven sire than a proven competitor. 40.68% said they definitely plan to breed to a stallion standing in North America, compared with 22.05% who said they definitely plan to breed to a stallion standing in Europe. 51.33% said they definitely planned to breed to a stallion approved by their primary breed registry. by making a list of stallions they like, then doing more research online or elsewhere. continue as a print directory. Only 7% of respondents said that they don't think a print directory is of much value. For stallion owners: Keep your website up to date. 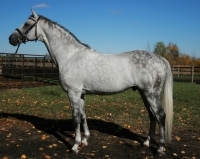 Breeders report the individual stallion/farm website to be the place they most often go for information about a stallion. Encourage your mare owners to take your stallion's best foals to inspections. Seeing a stallion's offspring in person is very important to breeders, and inspections are a great way to get them out there. and want it to continue? It appears that they both want it and use it. In the olden days, print magazines were all we had. If you had a mare and you liked a stallion, you'd wait for the Chronicle's stallion issue to come out. If you liked a stallion, you'd call the owner and ask them to send you a video tape. Sometimes you had to pay a deposit for it. No one calls a stallion owner directly from a print ad these days, which sometimes makes it seem like breeders are not using print magazines. Magazine publishers in all fields are asking themselves, "Why are we still doing this?" Many are quitting. around for months and even years. I think it is very important that we start appreciating our American-bred horses and the amazing stallions we have right here in the US. Very happy with it as a resource and would love to see it get even better and bigger. This directory is a great resource. I find that sometimes I narrow myself too closely within the breed that I like the most and in doing so I have limited myself to not even knowing what else is out there. This year I ended up breeding my mare outside of my primary registry because I liked the stallion so much. It is nice to see stallions from all registries in the pages of the same resource. It makes it really easy to compare based on not only registry but also bloodlines.